12/5/2016 – On December 3, at the University of Nevada in Las Vegas Timur Gareyev made an attempt to break the world record in blindfold simultaneous play. Without seeing the board Gareyev played against 48 opponents at the same time, more than any player before him. With a mask before his eyes and on an exercise bike. 35 wins, 7 draws, and 6 losses later Gareyev could say: "Yes, world record." for the U.S. Chess Federation. ... in a specifically designed t-shirt. 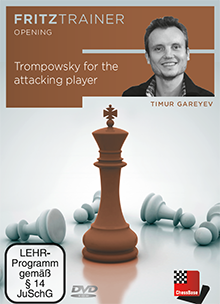 Dynamic play is what makes your chess effective and, most importantly, fun! You start the game taking the essential steps of developing pieces and focusing on the center. As the battle heats up one player assumes the defensive position while the attacker takes over the initiative. As you commit to your attack, keeping the initiative becomes like ''walking a tight rope''. There is no turning back and the path to success is narrow. You either come out victorious or you fall crushing down. This is the kind of chess we love to play! And the comment above on the rating of the 48 simul players is kind of ridiculous; most GMs don't play against that number in a simul even with sight of the board, and certainly not with many > 2000 Elo. Yes, congratulations, but next time try a few more higher rated players. Most here were unrated or <2000. I don't believe that at all, John Stockton. You wrote there what I believe are a load of incorrect assumptions and excuses for not striving to do amazing things yourself. Do anything every day for 10-20 years and people will talk about you like you are talking about them - genius, natural talent etc. I think a lot of it is whether you enjoy/love doing whatever it is, then it's actually easier to put in the hours every day than not. Read some books about memory techniques; they make seemingly impossible feats quite easy. Like memorizing hundreds of names of people in a crowd. One would think that only people with idiot-savant-level talent, specially-wired brains could do that. But read a good book on memory techniques (e.g. by Harry Lorayne or Dominic O'Brien) and you too will be able to do that, without much difficulty. Becoming a GM is the hard part. :-) But I don't think you need a special brain for that, just years of hard work. I think the commonly-heard talk like yours is pernicious, and just serves to 'save' people from doing anything in life. Also, this is why these type of people (chess greats and people with great memeories) often commit suicide (o go nutty, or can't hold close relationships with others, etc.) -- because their brains are so cluttered with useless trivia. A healthy brain knows how to forget, and that "forgetting" is part of being healthy. I dont want to die, or live life like that--with a brain filled with a zillon chess positions I can't get rid of! I can't even imagine holding one blindfold game in my head , let alone 48! Can the neuroscientists tell us what it is that these guys have that the average Joe Soap doesn't ?! 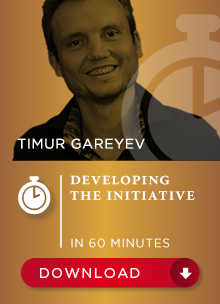 Congratulations Timur anyway - that's a phenomenal performance! Can't agree more. Btw, why not nickname Timur 'Blindfold God' ? This article is way too short. Please make a proper one later on.